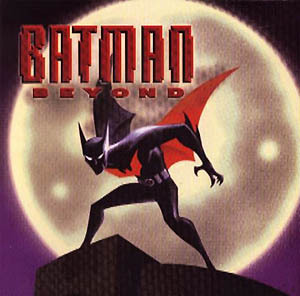 Batman Beyond was a bizarre new creation from Bruce Timm and Paul Dini. Superman: The Animated Series (TAS) and Batman: The Animated Series (TAS) were still going strong, and TV execs wanted to capitalize by making a “kid friendly teenage” version of Batman. What they got was Batman Beyond. 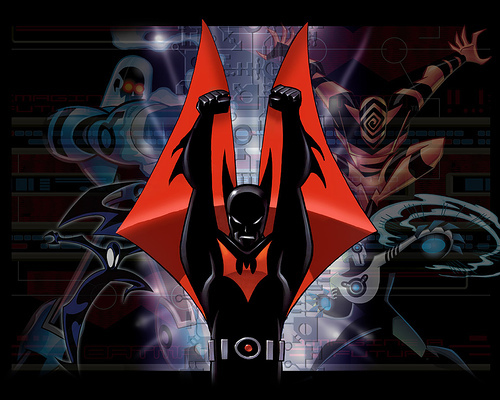 Even though the animation was crisper, there was more action, and the NEW Batman was a teenager, Batman Beyond was considerably darker than its Superman: TAS and Batman: TAS counterparts. And a profound thing happened as well, by keeping an elderly Bruce Wayne involved, Batman Beyond fit in with the continuity of Superman: TAS and Batman: TAS. Fast-forward 20 years to 2039, Gotham is now a futuristic city. Sixteen year old reformed juvenile delinquent Terry McGinnis has a good heart, he defends a citizen from a Jokerz gang member on a commuter rail in an early scene. However, Terry still has troubles with his Father, whom he is living with, and is still seen as a troublemaker in school. After once again meeting with a gang of Jokerz, Terry is chased to the edge of Wayne Manor. There he meets up with Bruce Wayne and they both easily defeat the gang of Jokerz. Bruce, now and old man is helped back to the manor by Terry. As Bruce doses off, Terry discovers that Bruce Wayne was once The Batman. Bruce wakes up, and tosses Terry out the manor, for stumbling upon his dark past. As Terry comes home, he discovers that his father has been murdered by what seems like the same gang of Jokerz. Now, angry and frustrated and living with his estranged mom and brother, Terry learns that his father’s death was actually the result of a corrupt cover-up at his father’s place of work. That place of work Wayne-Powers (merger between Bruce Wayne and Derek Powers). 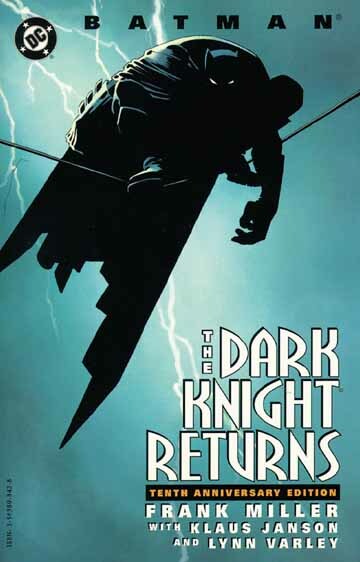 Terry storms back to Wayne Manor to ask Bruce to don the batman suit one more time to right the corrupt city of Gotham. Bruce refuses, so Terry steals the Batman suit and goes after Derek Powers and those that killed his father. Even though Bruce is against the idea of a new Batman, he sees the good that the kid can do for Gotham. Bruce decides to take Terry under his wing to train and guide him to be the new Batman… and thus The Batman was reborn…. What makes this a Bootleg Classic? 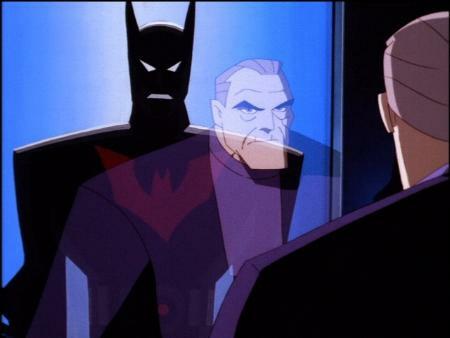 The big thing that really stood out about Batman Beyond is that even though Bruce Wayne is not under the mask of Batman, and that it is set in a futuristic Gotham City, it still retained that feel of a dark and brooding Batman world. In many ways, this series, which was intended to be for younger audiences than Batman: TAS and Superman: TAS, was much darker. The dramatic scenes, the corruption, the murder, the gangs all had a darker tone. I also give a lot of credit to series creators Bruce Timm and Paul Dini. For Superman: TAS and Batman: TAS, they had hundreds of Batman and Superman stories to chose from and to cover, but for Batman Beyond they had to create a totally new world and they still had the guts to tie it in to the continuity that was established in Batman: TAS and Superman: TAS.